THE ROLLIBOT GENIUS BL800 ROBOTIC VACUUM IS THE SIMPLE WAY TO CLEAN. 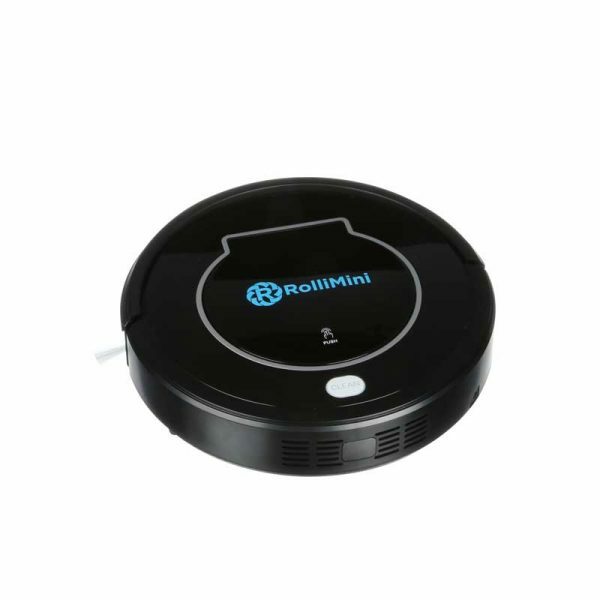 The Rollibot Bl800 robot sweeper is the best affordable robotic cleaner for your home! This powerful floor-cleaning robot conquers messes by thoroughly vacuuming, sweeping and wet mopping. The BL800 floor cleaning robot’s dual rotating sweeper brings in dander, pollen, and other pieces of debris. Rollibot’s sweeping robot can easily tackle any floor type ranging from wood to tile to linoleum to carpet. 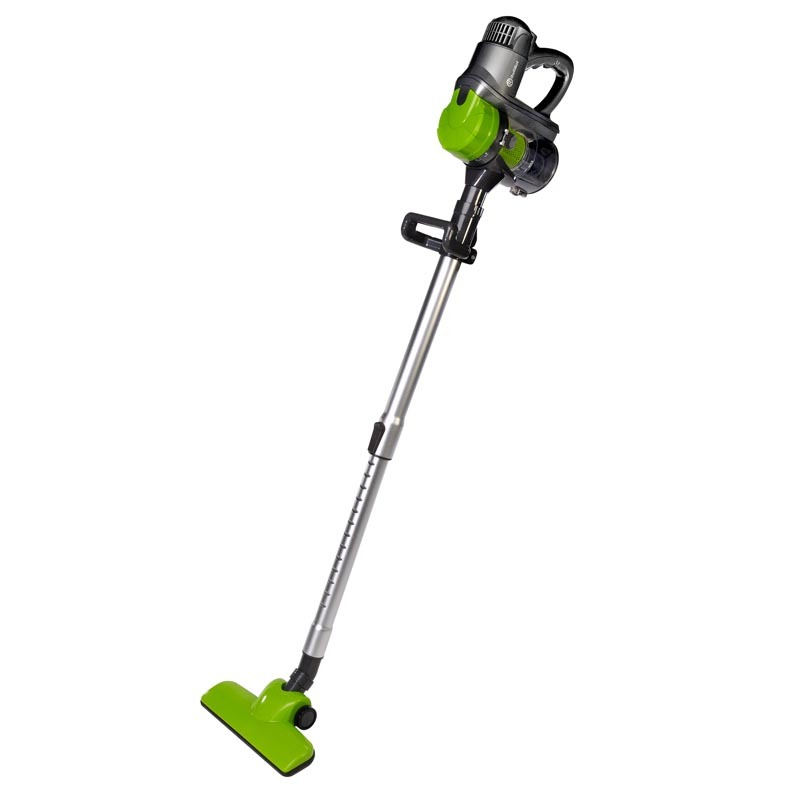 The Rollibot BL800 features detachable bristles to clean deep into corners, a high performance suction engine for vacuuming, carpet brush, and a microfiber cloth with an internal water tank for spills and wet mopping. Tired of breaking your back to clean your floors? The easy to clean dust bin also features double filtration. 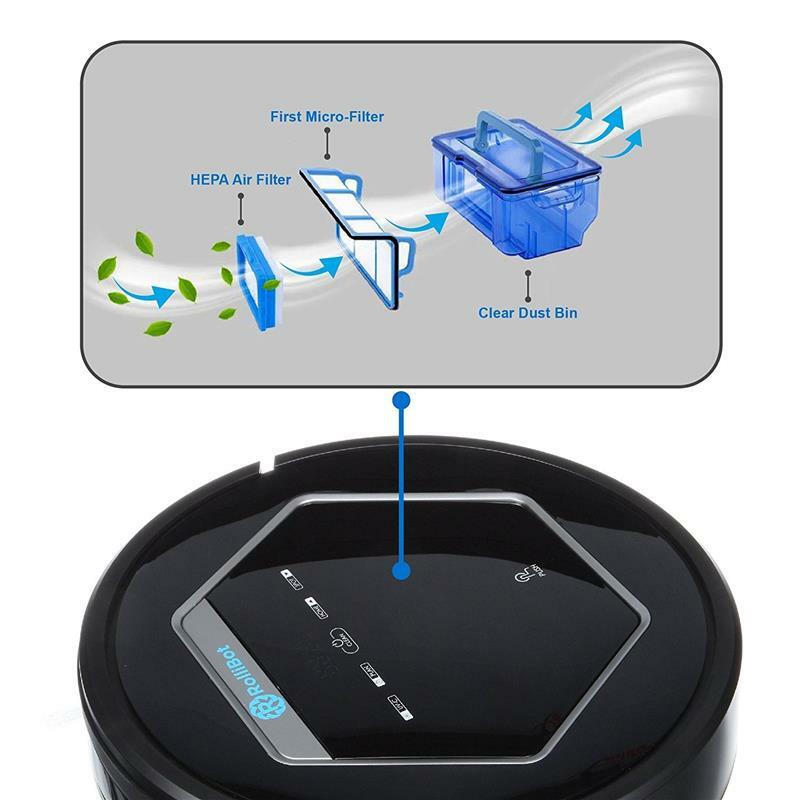 The first micro-filter traps larger particles of dust, dirt, and debris while the second HEPA Air Filter traps all air particles so that only clean air comes out. With the Rollibot cleaning robot, you never have to worry about allergy causing pollen, dander, or tobacco particles ever again! Both filters are replaceable and reusable. Pet owners know that cleaning up pet hair is a never ending battle. Make every day cleaning a thing of the past. The Rollibot robotic vacuums allow you to schedule automatic cleaning up to 7 days in advance, making it perfect for pet owners and people with allergies alike. At just a foot in diameter, less than 3” tall, and weighing in at 6 lbs, this affordable robotic vacuum cleaner fits under most furniture. 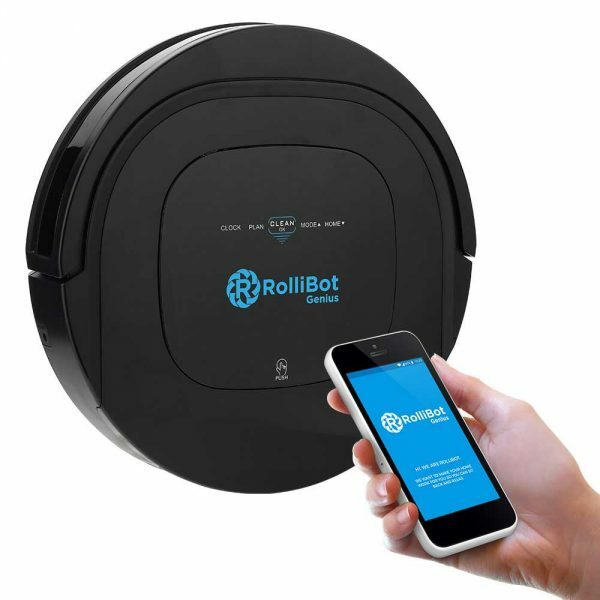 The Rollibot vacuum cleaning robot features four robotic cleaning modes: Auto Clean, Spot Clean, Edge Clean, and Scheduling mode making it ideal for any floor plan.